Proper recovery for runners is vital. Acupuncture is effective for injury treatment while qigong movements work on posture, breathing and mindfulness. If you enjoyed this episode, check out the Marathon Mastery online training area and community. In this week’s episode we interview Richard Agnew – an expert on acupuncture and qigong. These methods will boost your recovery from running. Particularly during marathon preparation and after the race itself. 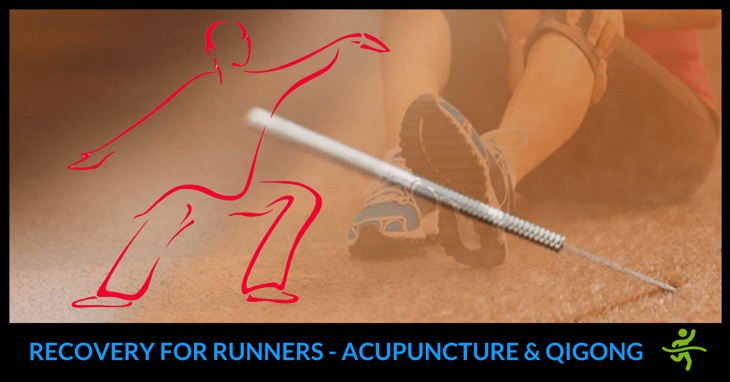 Treatment of common running injuries such as knee pain and plantar fasciitis. Number of acupuncture sessions needed to make a difference. Multiple ways in which it works to promote recovery for runners. Fitness and wellbeing benefits not necessarily addressed by athletic training. Why it helps you train more effectively as well as recover faster. Benefits from as little as 15 minutes practice per day. Dangers of watching ‘wet noodle’ demos from unqualified teachers! What acupuncture and qigong do and why they link well together. Different stages of recovery they address. The simple quiz you can take to assess your overall fitness and health. Why recovery for runners counter-balances physical fitness. Future opportunities for these practices. 1.26 What got you into acupuncture and qigong and what challenges were there? 3.52 What benefits do these practices provide to marathon runners? 7.48 How much time would runners need to invest in these practices? 9.44 Can qigong be mastered remotely? 11.48 If you had to give one piece of advice to runners on this topic what would it be? 12.57 What are the biggest mistakes you see teachers or clients making? 16.53 What do you enjoy most about providing these services? 17.32 Advice on exercise for people in their 50s or older? 19.50 What are wet noodle exercises? 20.35 What does the future hold for these practices? Please share your thoughts on how to ensure proper recovery for runners in the comments below.